The Nigerian Army has said its troop on Tuesday repelled Boko Haram insurgents’ attack in Kukawa Local Government Area of Borno State. 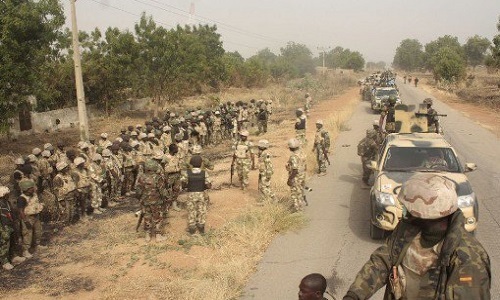 The army in a statement on its official Twitter handle said that the troops repelled the insurgents’ attack while attempting to infiltrate Cross-Kauwa in Kukawa at about 8 p.m. on Tuesday. “Troops of 157 Strike Force Battalion at about 8 p.m. today (Nov. 27) 2018; repelled some elements of Boko Haram terrorists who attempted to infiltrate Cross-Kauwa in Kukawa Local Government Area of Borno, details later,” the army wrote.